For the past two weeks, Courtroom 17 in the John Joseph Moakley United States Courthouse has been pretty quiet. 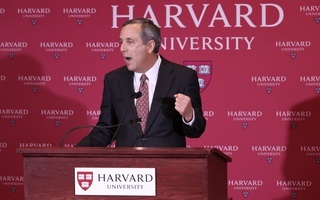 Lawyer after lawyer took the stand in the wood-paneled, fifth-floor chamber to argue for or against affirmative action in the high-stakes and high-profile Harvard admissions trial — but the attorneys typically spoke in muted voices. Audience members conferred in whispers, if at all. Often, the only noise was the clicking of reporters’ keyboards or the occasional whoosh of a door swinging shut. On the first day of the trial’s third week, the silence broke. When Harvard senior Thang Q. Diep ’19 stepped down from the witness stand around 2:40 p.m., scores of spectators — many of them College undergraduates — broke into loud applause. Diep, who was born in Vietnam, had just spent 40 minutes spilling his life story to explain why Harvard must keep its race-conscious admissions system. He recounted an at-times difficult childhood — noting that elementary school peers “made fun of my accent” — and said he reclaimed his Vietnamese heritage when he applied to the College. He said he wouldn’t have made it to Harvard without the College’s race-conscious admissions policies. Diep was one of eight current and former Harvard undergraduates who stood to testify on the eleventh day of the trial. 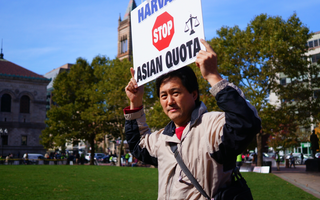 At stake in the case — the product of a four-year-old lawsuit brought by anti-affirmative action advocacy group Students for Fair Admissions — is whether the College discriminates against Asian-American applicants. Experts have said a cascading series of appeals could bring the trial, slated to end Friday, before the Supreme Court. If the case reaches the nation’s highest court, it could mean the end of affirmative action in the United States. Monday’s witnesses, all of whom are non-white, did their best to prevent that outcome. Drawing on personal experiences — including tales of childhood bullying, fears over Harvard’s whiteness, and comfort found in College affinity groups — the eight students and alumni offered an emotional and impassioned defense of race-conscious admissions. Like Diep, several student witnesses said their racial or ethnic identity shaped their early life — and that the Harvard application process allowed them to take pride in their heritage. Harvard alumnus Itzel L. Vasquez-Rodriguez ’17, who identifies as indigenous Mexican American, said she faced racially motivated bullying during her childhood in Southern California. Vasquez-Rodriguez said classmates “stereotyped and critiqued” her. When college application season rolled around, Vasquez-Rodriguez drew on her racial background to convince admissions officers she deserved a spot at Harvard. In a personal essay titled “Different,” Vasquez-Rodriguez wrote that she wanted to spend the rest of her life representing and embracing Latino culture. “All of my life’s ambitions revolve around communities of color and my ethno-racial identity,” Vasquez-Rodriguez said in court Monday, noting she would not have applied to Harvard if the school did not consider race in its admissions process. Sarah F. Cole ’16, who testified later in the day, said the same. Cole, who is African-American, spoke at length about her “blue-collar” upbringing. She recounted how her father woke up early to stand in line at food pantries when he was between jobs. Cole testified that she faced “casual racism” from classmates at the prestigious and majority-white high school she attended. She said she could not possibly have applied to Harvard without writing about her race and the way it shaped her early life. Others said their race and a perception Harvard is far “too white” almost prevented them from applying to the College in the first place. They testified that Harvard’s efforts to recruit students from historically marginalized racial groups — especially via programs like the Undergraduate Minority Recruitment Program — convinced them to take the plunge. “I wanted to be on a campus that is excited about diversity,” said Madison A. Trice ’21, who is African-American. Still, Cambridge proved less diverse than some had hoped. 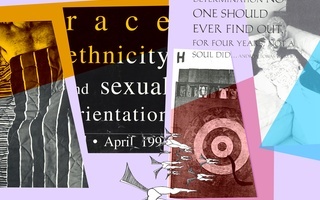 Margaret M. Chin ’84, a sociologist at Hunter College and the City University of New York Graduate Center, testified that she felt the same way as an undergraduate in the 1980s. The eight witnesses almost all said they found their niche by joining campus affinity groups. Chin signed up for the Harvard-Radcliffe Asian American Association. Trice joined the Association of Black Harvard Women and the Black Student Association. 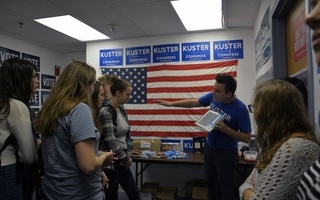 Cole did, too, eventually rising through BSA’s ranks to become its president. 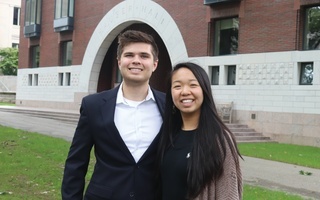 Yet another witness, Vietnamese-American Harvard sophomore Catherine H. Ho ’21, currently serves as president of the Asian American Women’s Association. The students and alumni said it was comforting to find a space filled with people who looked like them. A Crimson survey of the Class of 2022 found that respondents are roughly 46 percent white, 18 percent Asian, 11 percent black or African-American, and 7 percent Hispanic or Latino. Cole said she still remembers the way her white and black peers reacted to the deaths of Eric Garner and Michael Brown. Black Harvard students were “deeply weeping,” she said — but white classmates appeared less concerned. The witnesses said the elimination of race-conscious admission would mean fewer minority students matriculate at Harvard each year. On a campus where many students of color already feel isolated and alone, this decrease would be disastrous, the students said. Trice said her love for the affinity groups she participates in drove her to testify in court Monday. —Staff writer Samuel W. Zwickel can be reached at samuel.zwickel@thecrimson.com. Follow him on Twitter @samuel_zwickel. Why The Hell Don't Harvard Students Vote?